Are you just as excited about Christmas as I am? The moment it hit November 1st, my store started playing Christmas music. Everyone is getting ready for the holidays and so am I! Here we are today with another great gift set that rolled out for the 2014 holiday season. 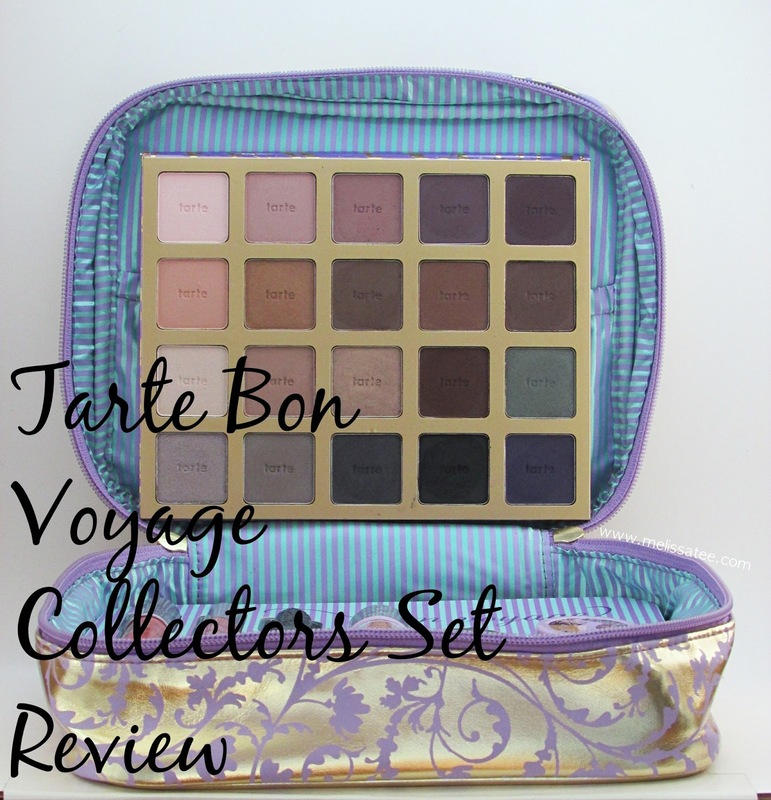 Todays blog post is a review on the Tarte Bon Voyage Collectors Set. 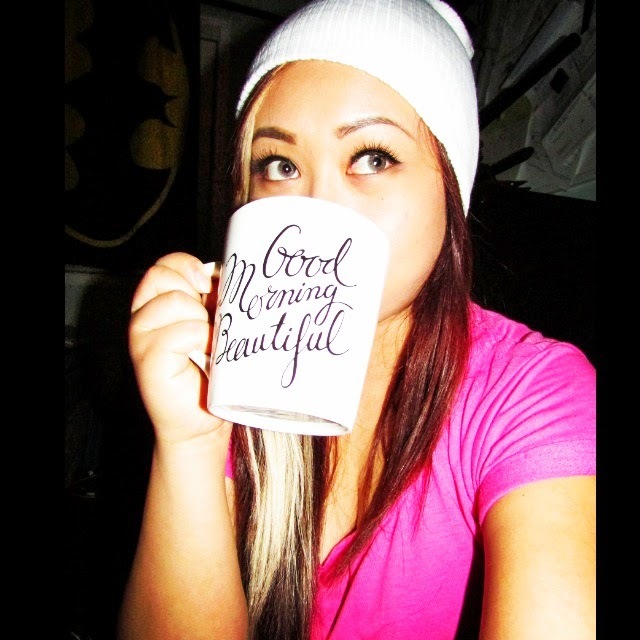 My main reason for purchasing this was that eyeshadow palette. 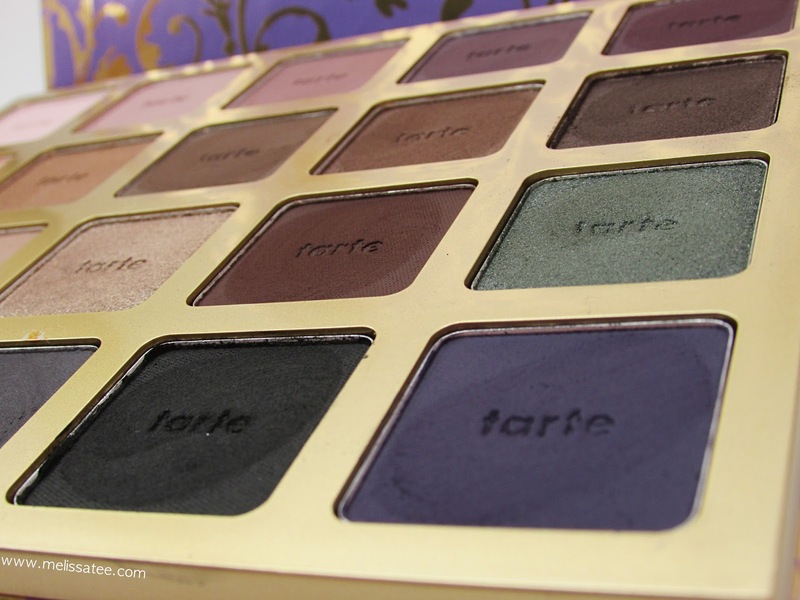 This is the first time I've owned or used Tarte eyeshadows so I definitely did not know what to expect. For $71, this collectors set is jam packed full of goodies, bringing it up to a value of $501! I love the make-up bag. 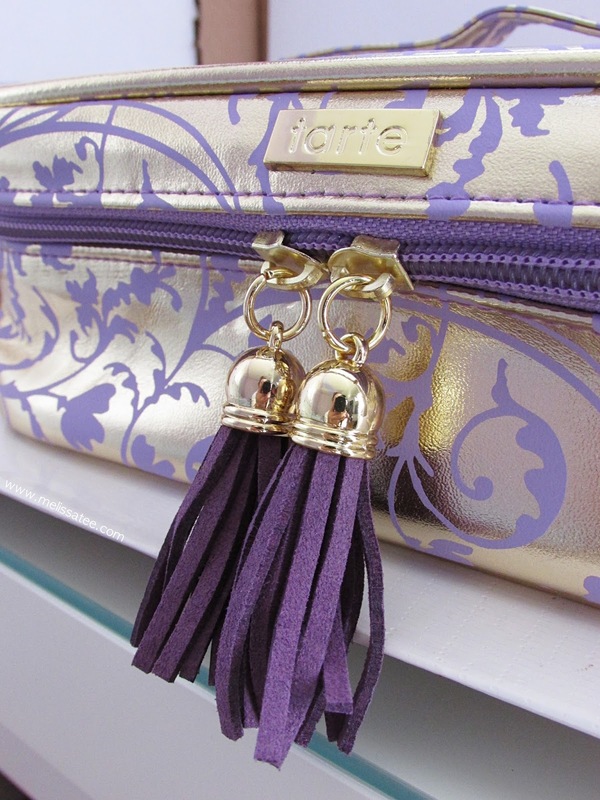 I love all the Tarte collectors set bags. 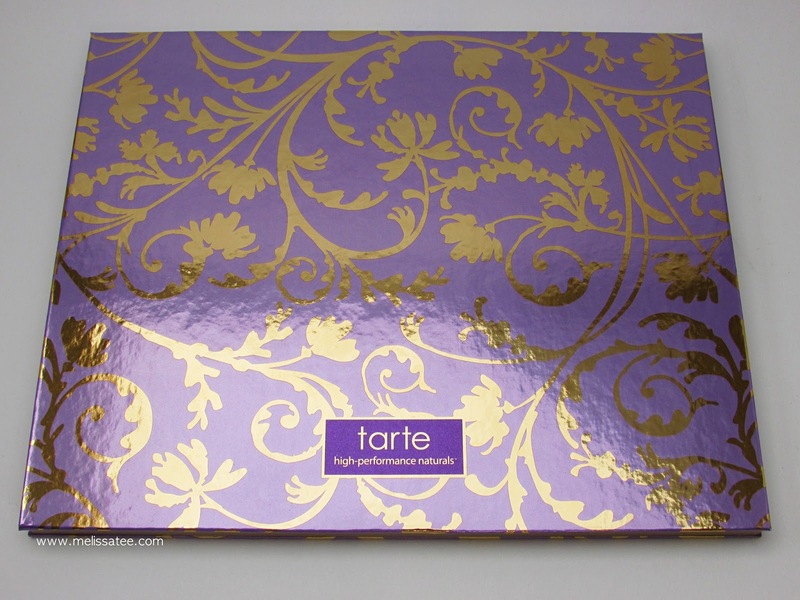 I purchased a set of Tarte stuff on Hautelook before, that came with a make-up bag, and it's awesome. This make-up bag is big enough to hold all the make-up I need and more for when I go to my boyfriend's house. Gold and purple. You can't go wrong with that combination. From left to right: You get a full size Tarte Lip Surgence Lip Tint, a full size lip gloss, a deluxe size Lights, Camera, Lashes mascara, a deluxe size cheek stain, deluxe size maracuja oil, and a deluxe size smooth operator finishing powder. 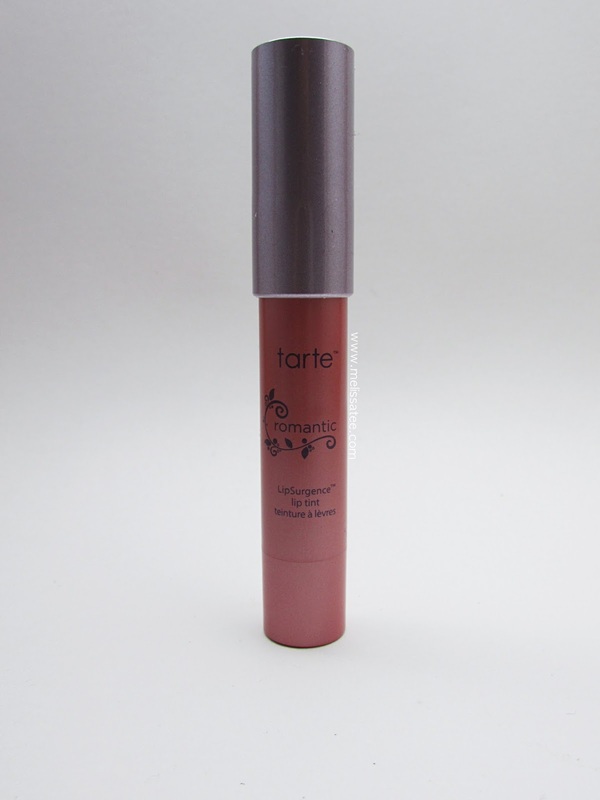 I've never been a huge fan of the LipSurgence by Tarte, or any crayon/stick lipsticks. This one is a cute shade of coral pink. It is a lot more pigmented than I expected, since most lip crayons I've used have been really sheer. The one thing about the lip tints is that it has a weird, mint scent to it. Almost similar, if not exactly like.. dental floss haha. In the tube, the lip gloss colour looks extremely opaque, but it comes off a lot more transparent when swatched. 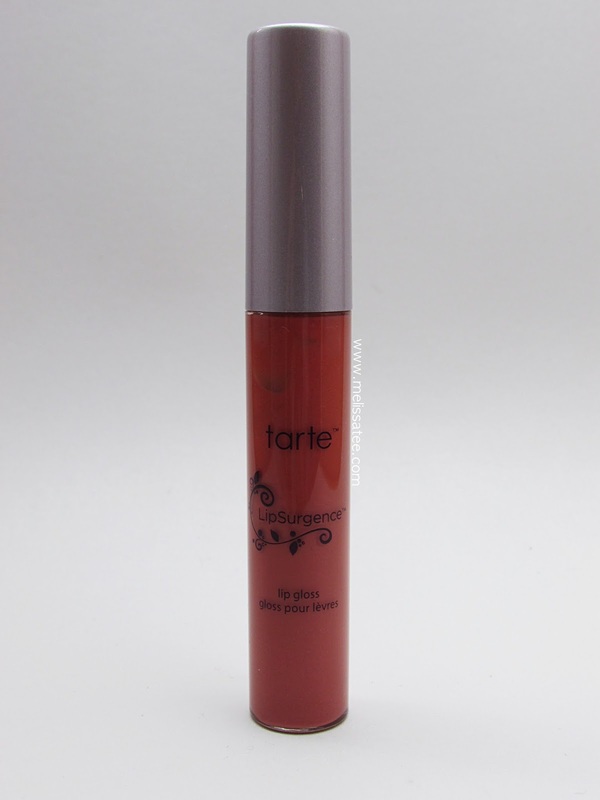 Its a beautiful peachy colour that works well with the lip tint. It also has a nice warm vanilla scent. I've received one of these mascaras in the past before and the packaging used to look exactly like the packaging of the full size one. For this year they changed it up and made the packaging resembling giraffe, or maybe aligator skin? haha I have no idea but it's cute. 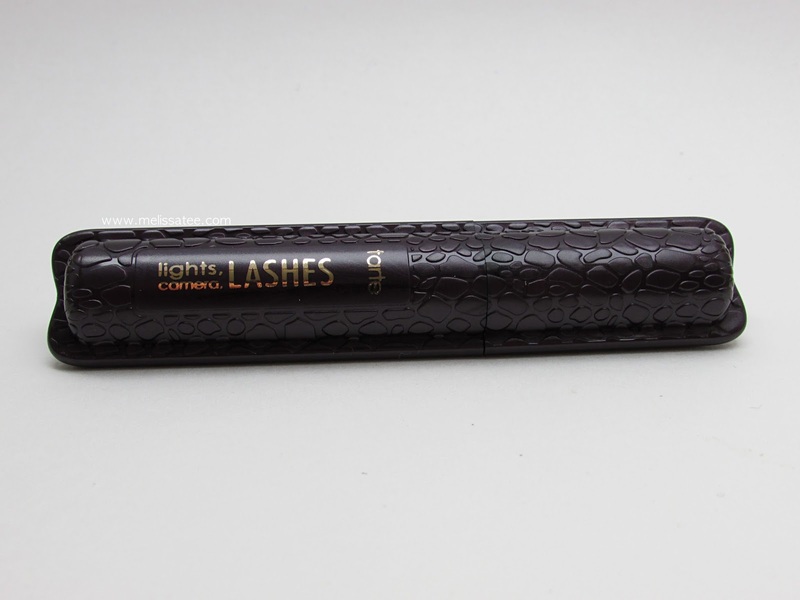 The mascara itself is wonderful and adds a lot of depth and volume to my lashes. If I'm not mistaken, this shade is made exclusively for the Bon Voyage set. Along with the lip tint and lip gloss. So what reason do you have to not get this set? I'm not a huge fan of wet blushes, or stains I suppose, but this colour is so pretty. Its a very pale pink, leaning towards a light brown, with an iridescence. I'd like to say that the first two times I've received a deluxe sample of this, I never used it. Receiving it now as well, I'm going to try to use it. I stay away from anything that has the word "oil" in it because I have extremely oily skin. 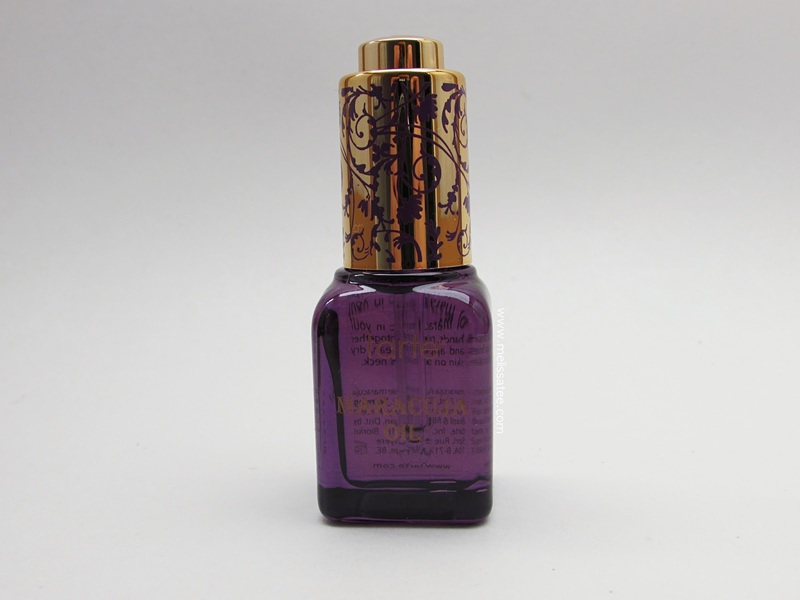 Upon reading the reviews of this it apparently helps control oil, so I'm definitely going to give this product a shot. 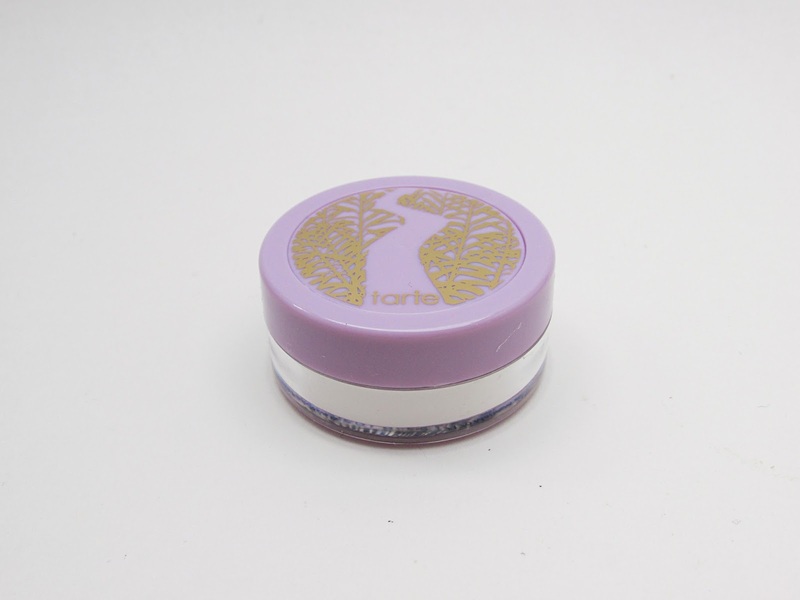 I've heard amazing things about this finishing powder, and as someone with oily skin, I was excited to receive this. 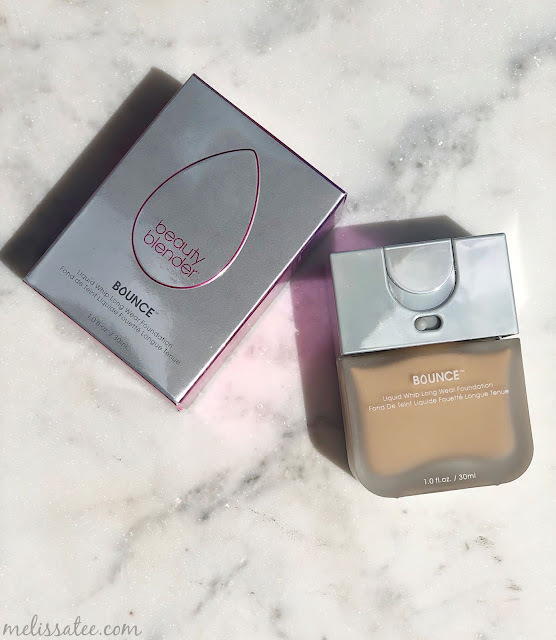 It leaves your skin looking matte with no white overcast. 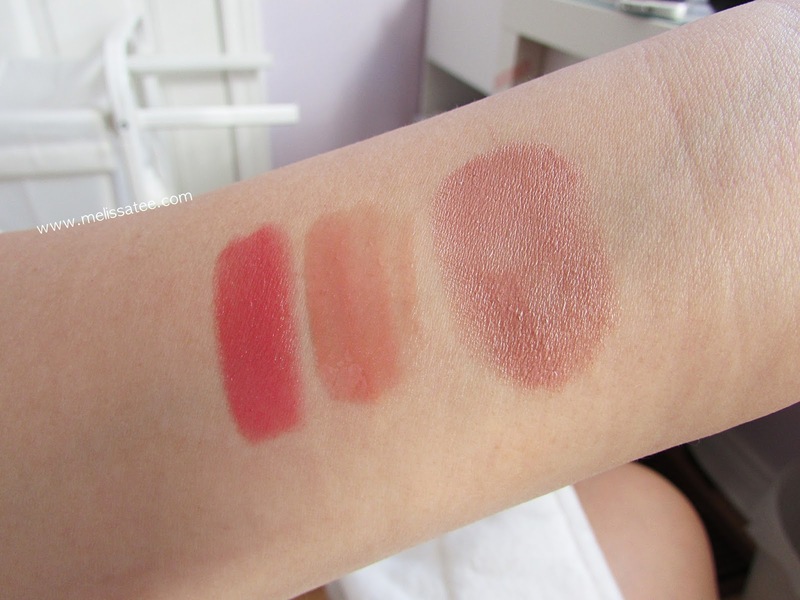 From left to right: Tarte "Romantic" Lip Tint, Tarte "Visionary" Lip Gloss, and Tarte "Muse" Cheek Stain. My favourite item in this whole set. I stood in Sephora for about an hour deciding between this whole set and just picking up a different limited edition eyeshadow palette from Tarte. I'm so happy I chose this because you get way more for your money. I tried to find a link to the palette I was going to purchase but I have no success in my search. Definitely must've been limited edition then if it's already gone! 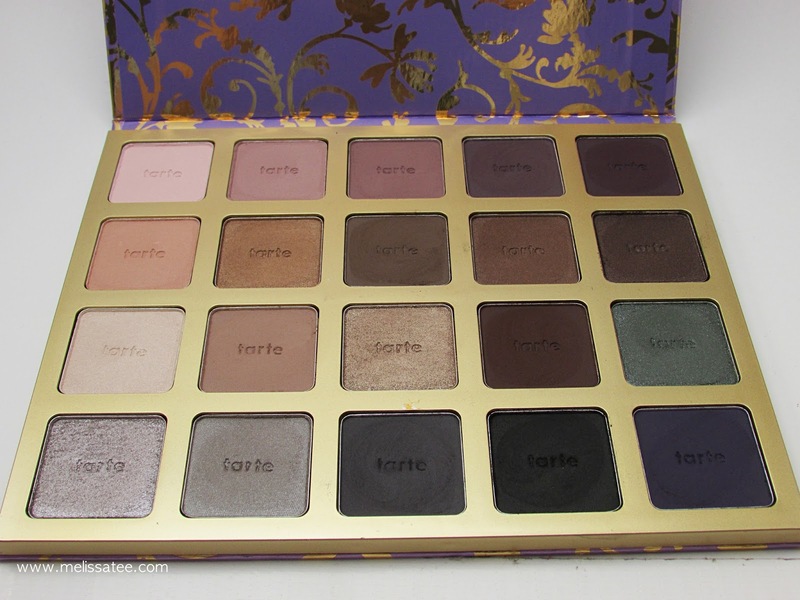 It was similar to this palette but with 16 shades instead of 20 (I think). I love the colours in this palette. You get such a huge variety of shades, and they're all rather large (full size I believe) shadows. 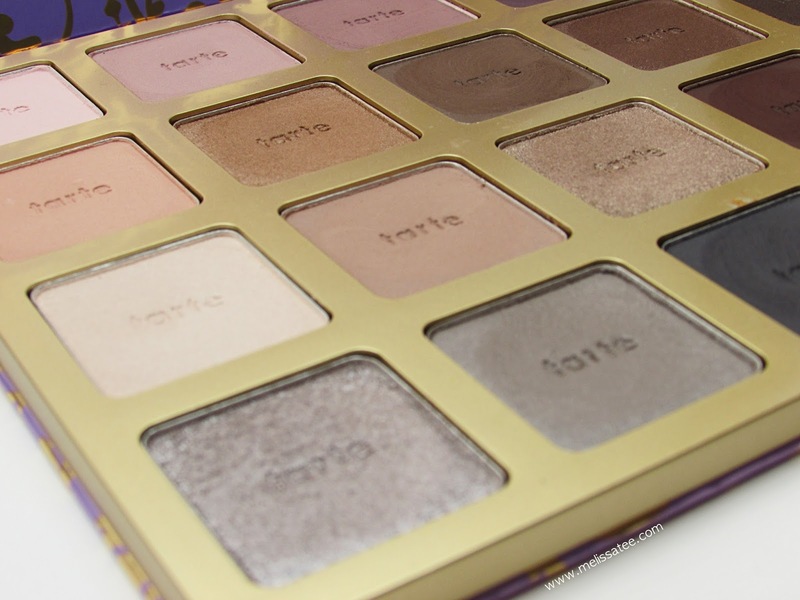 You can go from an everyday look to a dramatic look easily with this palette. Look at the swirls I made with my fingers hehe. My favourite row because its all colours I would wear daily. I can see why people complained about the eyeshadows being chalky. I can definitely see what they mean, but it's still wearable. I've worn the eyeshadows for about 8 hours with primer, and it lasted the full 8 hours no problem. The texture is velvety, but not creamy. The formula is quite amazing to me though. 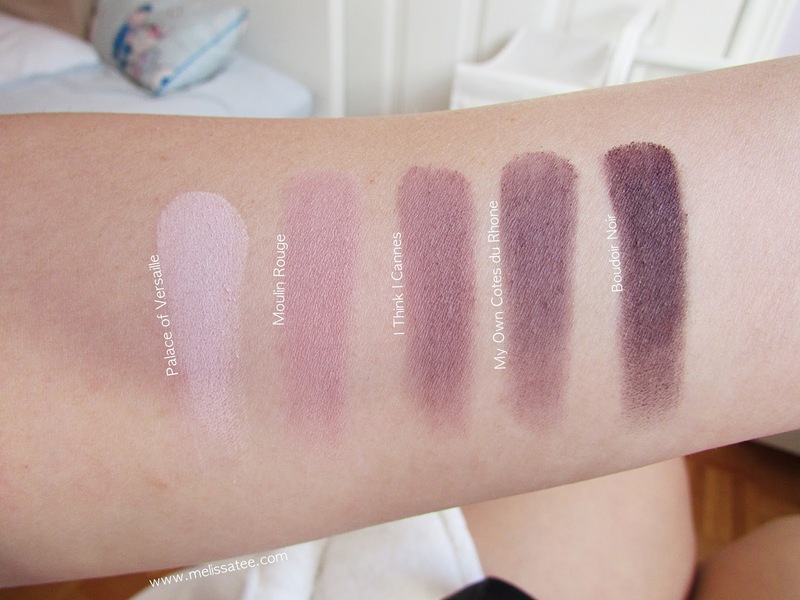 I feel like this whole row is very similar to the colours in the Urban Decay Naked 3 Palette, but instead of a rose gold undertone, these are more of a pink/purple undertone. 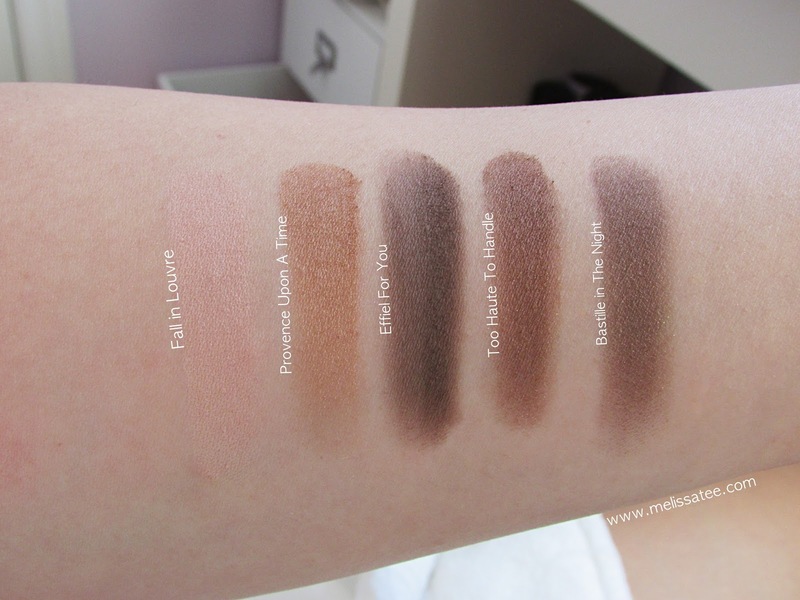 Brown eyeshadow colours are probably my go to shadows. 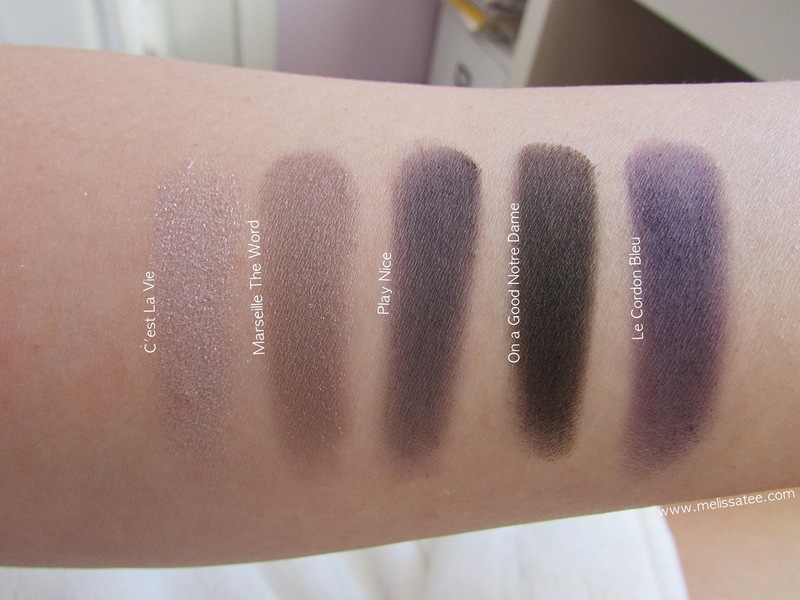 These shades are perfect for everyday wear and creating a dramatic smokey eye. This row is comparable to the Urban Decay Naked2 Basics. 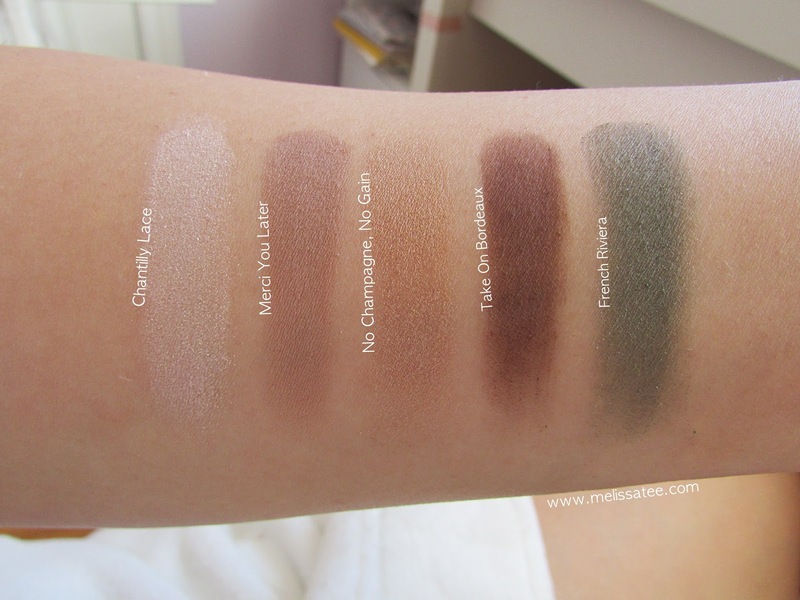 If you haven't noticed already, a lot of the eyeshadow names are of places and monuments! These colours remind me of the Wet N Wild "Comfort Zone" eyeshadow palette. Besides the first row, the last row of shadows are extremely pigmented. The black went on beautifully which is amazing. The only colour in this whole palette that I disliked would probably be "C'est la vie" because it was very glittery and transparent compared to the rest. Overall, I feel like this is one of the best valued gift sets from Sephora right now. You get a huge eyeshadow palette with a large variety of shades to work with. You also get two full size lip products, a skin care product, two face products, and also a mascara! It also comes with a nifty carrying case for all your make-up. 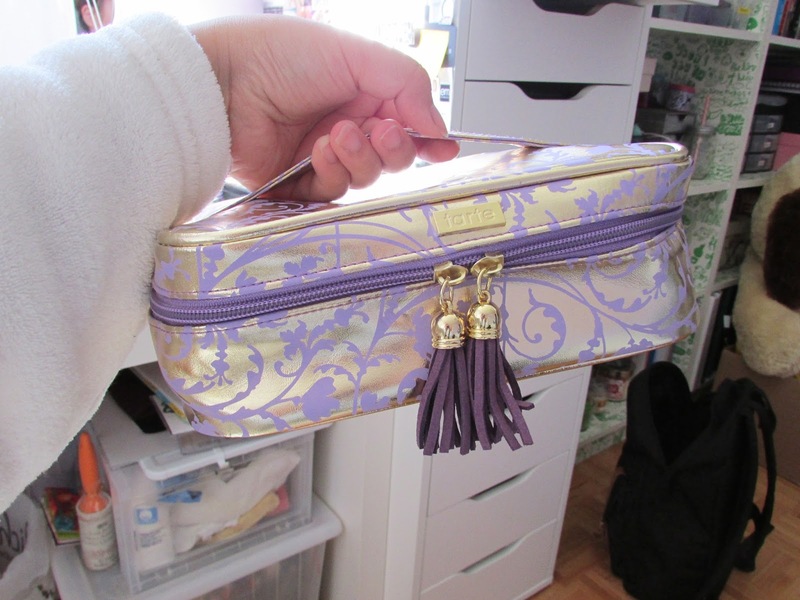 This is the current make-up bag that I'm using, and I absolutely love it. Its the perfect size to fit in my backpack without making my bag into such an oblong shape, which I get with most of my bulky make-up bags. Effectiveness? All the products have worked well for me, so I don't see any issues at all. Those eyeshadows look AMAZING. This kit is awesome! I saw a quick YT review of this and she wasn't impressed, but after seeing your swatches and photos - oh my, I want it! It looks amazing! Its a great value set and all the eyeshadows are full size! I guess it's really up to you if the eyeshadows meet your standards, but they met mine. They work great on my eyes!